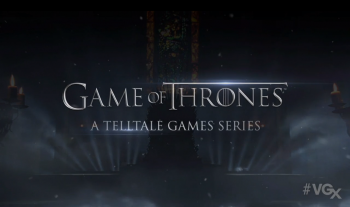 Continuing its episodic game dominance, Telltale Games revealed that a Game of Thrones title is coming next year. Did you think only one Telltale Games-related announcement would come out of tonight's VGX show? Nope! The developer just revealed that it has another episodic game series in the works for 2014, this one based on the beloved Game of Thrones series. Like many big gaming announcements, this was actually rumored weeks ago, and now it's official. Of course, there are no details beyond the barebones reveal, but that should be enough to get Game of Thrones fans excited. Telltale Games has done an excellent job making episodic games based on existing universes; if The Walking Dead and The Wolf Among Us are any indication, an episodic Game of Thrones could be one of 2014's most promising titles.